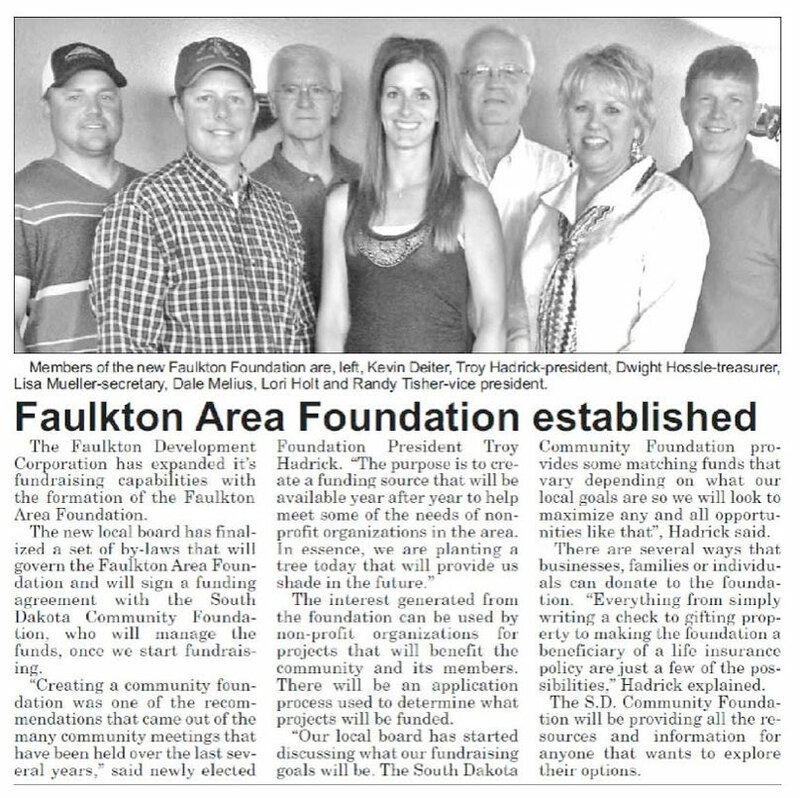 Welcome to the Faulkton Area Foundation website. We are one of 72 Community Savings Accounts in South Dakota. Even though we are an agent of the South Dakota Community Foundation, we are able to accept and administer charitable gifts, give good grants to our local nonprofit groups and organizations, and also give scholarships to hopeful young people from our region. Our volunteer board members work hard to ensure funds are going to groups and organizations that need it most. A Community Savings Account (CSA) offers you an opportunity to give a perpetual gift to the community of Faulkton. The fund is invested by the SDCF and 4.5% of the average value is available to give back to nonprofits each year. As the fund grows, so does our ability to make a local impact. Our board of directors gives grants to support basic needs and enhance the quality of life in and around Faulkton. In 2014 our foundation was established and our local board of volunteers set a goal of raising $200,000 by 2020. When you give to our local foundation, your gift will continue to generate money for generations to come since the principal will never be spent. In addition, the grants we will be able to give out in the near future will all be decided by a local board of directors who understand the needs of the community. 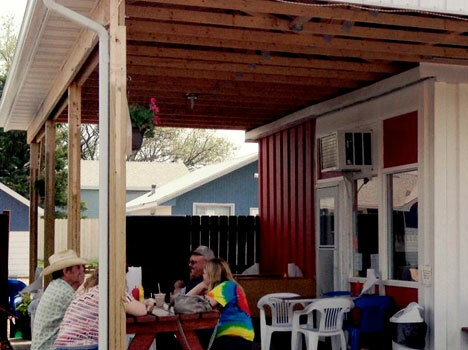 Need an incentive for doing business in Faulkton? © 2019 Faulkton Area Economic Development, All rights reserved.